An Idea Whose Time Has Come…. I finally got my book published as an e-book on December 26th, 2011. The small publisher from Arizona who decided to work with me back in 2005 decided to retire leaving me with the always nagging human question of “what now?”. My wife Judy assisted me in re-editing the book as my first publisher did not do the greatest job in making the book flow as smoothly as it could. There was also the fact that now the book would not be out in a hard copy. Now I must admit that I really do like the feel of going into a bookstore and coming out with a hard cover book in my hand. For me it just feels good. But for now at least it appears that electronic books are the way to go for me until I find a publisher. 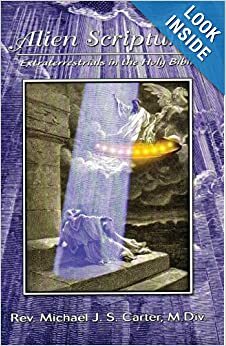 The book is entitled,”Alien Scriptures;Extraterrestrials In The Holy Bible”. The book is a compilation of my personal experiences on the subject along with my Master’s Thesis in Divinity Studies. An appearance on the History Channel’s “Ancient Aliens” helped a bit with the sales and for that I am ever grateful. When I initially began writing and speaking about this topic a mere 17 years ago, one’s mental sanity and reputation would have been called into question. Yet today our culture is saturated with the idea that not only are we not alone in the universe, but that maybe, just maybe our own government is lying to us about not only about the reality of ET life but that we have even made contact with that life! Times do indeed change, and Goethe’s statement that nothing is as powerful as an idea whose time has come is a powerful testament indeed. In the meantime I encourage all of my fellow human beings to “keep looking up”. Oh yeah, and don’t forget to buy the book! You may purchase the kindle book on Amazon! Or the NOOK Book @ Barnes&Noble!